AZIMUT YACHTS is an Italian yacht-manufacturing company located in Avigliana. 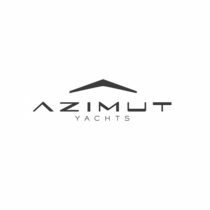 Established in 1969 by Paolo Vitelli, Azimut began with chartering sailing boats, a service they still provide today. Paolo Vitelli purchased Benetti in 1984, making Azimut the owner of the Benetti shipyard, another impressive yard building luxury yachts. Azimut has five series classes for yachts ranging between 34′ up to 120′ (10.36m up to 36.5m). The yard in the province of Turin is a 1,076,391 square foot (100,000 square meter) facility with the capability to produce up to 300 boats annually that are 69′ (21m) in length. Custom yachts of a larger size are ordered from other, larger shipyards throughout the world. 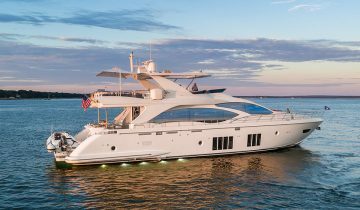 Azimut’s commitment to provide beauty, style, elegance, and comfort is why they continue to be one of the world’s leaders in the luxury yacht industry today. World-class new yacht construction by Azimut Yachts includes the AZIMUT 120SL, GRANDE 95RPH, GRANDE 120SL and more, with design by some of the top stylists from around the world, including Stefano Righini, Salvagni Architetti and Carlo Galeazzi. 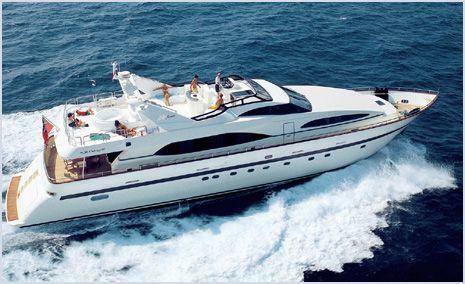 Browse the entire fleet of Azimut yachts for sale or find an Azimut yacht for charter below. 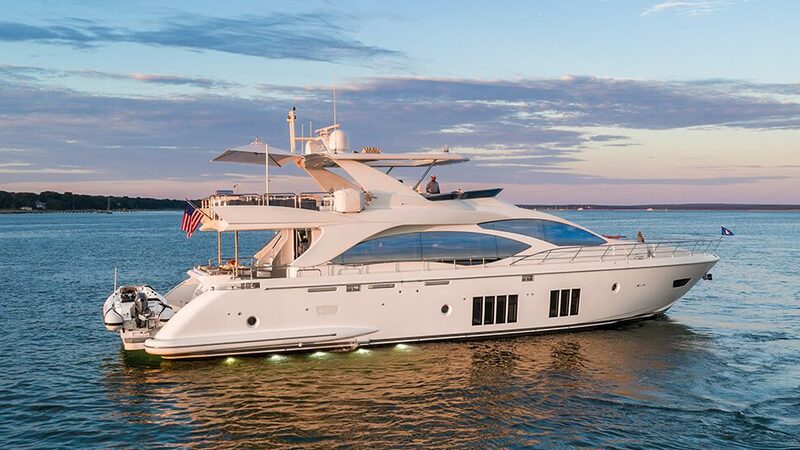 For more information about Azimut yachts for sale and your own custom tailored yacht report, or to book a Azimut yacht for charter, simply contact the Merle Wood & Associates luxury yacht brokerage firm.